Durham Cathedral begun in 1093 and completed toward 1130. 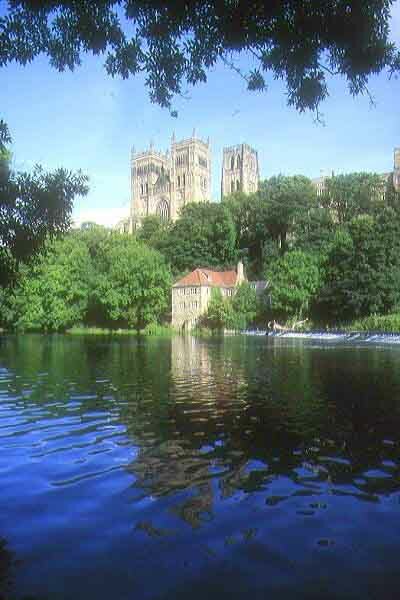 It houses the relics of St Cuthbert (evangelizer of Northumbria) and the Venerable Bede. Standing as one of the greatest achievements in Norman architecture, the Cathedral serves today as a church, monastery, and central focus of the community that now stands in Durham. Behind the cathedral stands the castle, an ancient Norman fortress which was the residence of the prince-bishops of Durham.